In the past few weeks I have been taking on higher mileage runs in my training. I am happy to say that I am having continued success and have successfully avoided re-injuring my foot. The 10 mile marker was the true litmus test in my running journey. 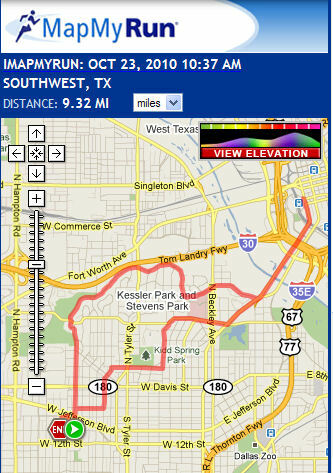 This was the distance that sidelined my training in July, and subsequent goal of my first full marathon event at the Dallas White Rock Marathon. I have been cautiously running the higher distances, and even opted to tape my foot for the 10 mile run. My goal in doing so was to complete the run, and avoid putting too much stress on my navicular bone. The navicular sling tape job worked very well! On Sunday October 24th, I ran a good 9 mile run. 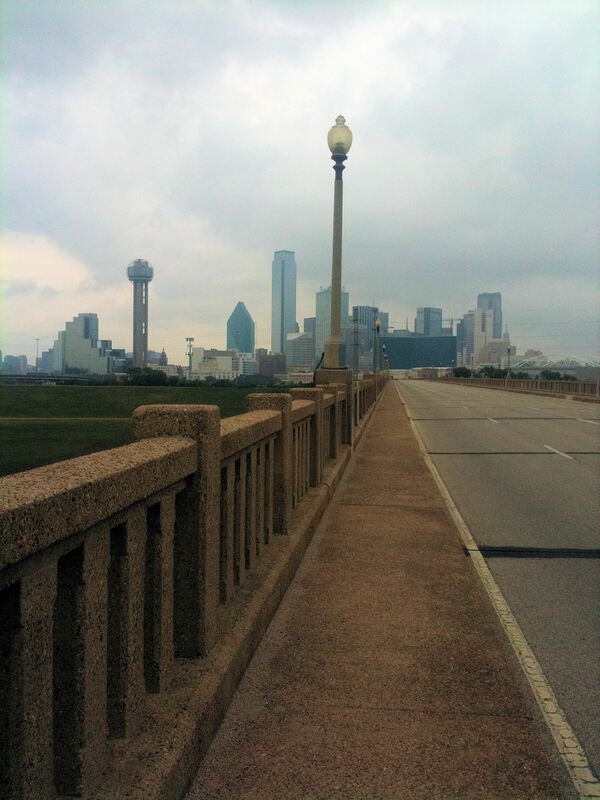 This took me a little further into downtown Dallas, and allowed me to get a photographic souvenir of Reunion Tower, as I ran by it. I continued upping the mileage on my weekday runs a little bit – up to one 4 mile run per weekday, along with continuing a 3 mile run on the other weekday. On Halloween morning, I only had to run 7 miles, but for some reason it felt harder than the previous 9 miler. I struggled a little bit, but at least finished. 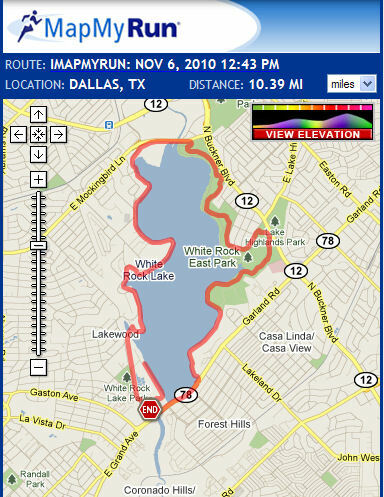 This past Saturday I drove back out to White Rock Lake to tackle the horrid 10 mile run. I was back at the scene of the injury. I not only wanted to beat the 10 mile beast, but wanted to do it on the same path that beat me before. I won! That night I took precautions, and re-taped my navicular bone area. I also took some anti-inflamatories, and a muscle relaxer just to make sure I was good for the next day. I am happy to report that I have had no soreness. Now next week is 11 miles. 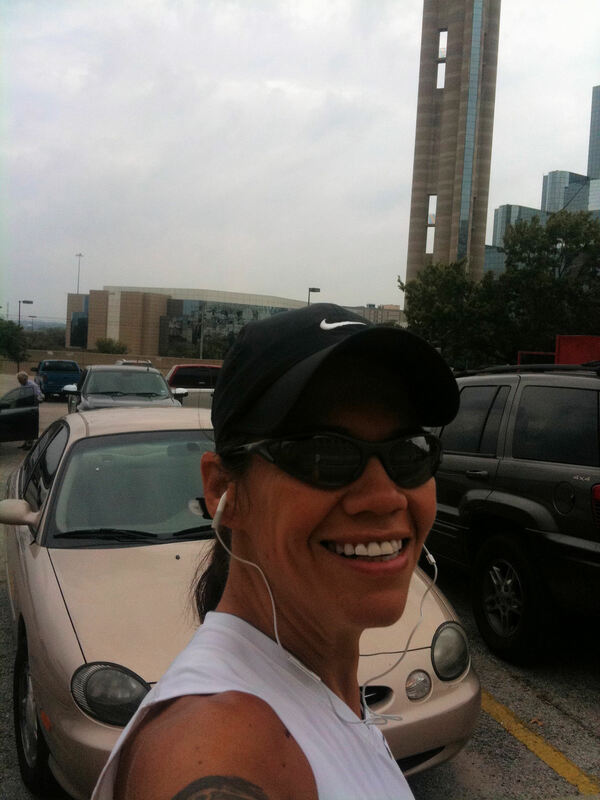 I only have 4 weeks until I run the Half Marathon for the Dallas White Rock Marathon!! 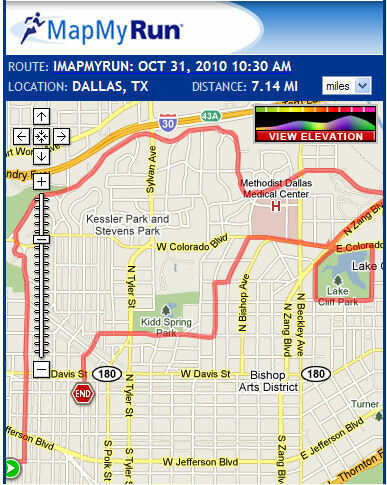 This entry was posted in Accountability, MapMyRun, Running the Rock and tagged dallas, fitness, Half Marathon, injury, marathon, marathon training, white rock marathon by Raven. Bookmark the permalink.